This Friday old school thrashers Morbid Saint are coming to DC and they’re playing a really tiny venue on the campus of American University. The band is from Wisconsin and while they used to open for Death on tours in the late 80s they only ever released one proper full length album, the 1988 cult classic Spectrum Of Death. They broke up in the early 90s (like many smaller thrash bands did after the rise of grunge) but recently they’ve reunited and starting playing shows again. 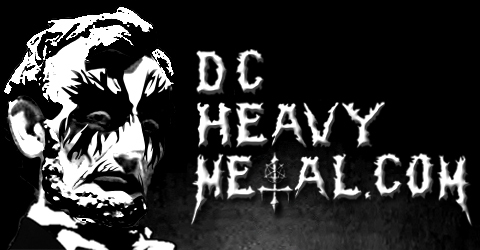 They made their only area appearance since reforming at the 2012 Maryland Deathfest where they played Spectrum Of Death from start to finish. This show will be a much more intimate setting than the large outdoor stage at MDF and since time won’t be as much of an issue hopefully they’ll also play some songs from their 1992 demo Destruction System. The show is at the Kay Spiritual Life Center which is basically a small non-denominational church/mosque/whatever-religion building on American University’s campus. Online ticket sales have already ended so you’ll want to be sure to get there early if you want to get in as this show will most likely sell out. Luckily the local opening support is pretty excellent! First will be Genocide Pact, a local death metal band featuring members of D.O.C. followed by Baltimore’s Noisem, a young death/thrash band that will be opening for Carcass on their upcoming US tour. 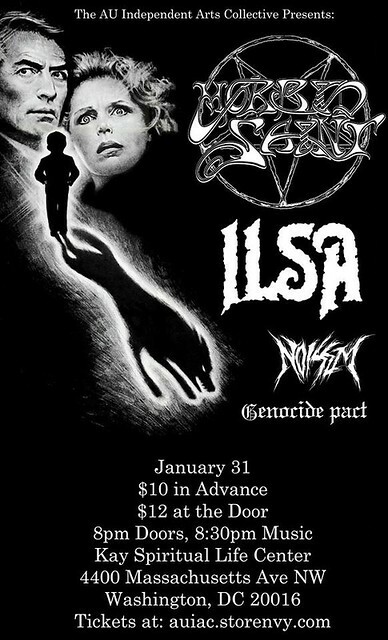 Direct support will be from Ilsa, a DC based crusty death/doom that never disappoints live. You couldn’t ask for a better line up for just $12! This Friday night this show will be a mosh friendly, sweaty and intense night for all in attendance and it’s going to be awesome! If you’re unfamiliar with any of the bands on this bill be sure to check them out by streaming the songs below. Too bad this is the same evening as Amon Amarth at the Fillmore. I would totally have gone to this. All the bands on the Amon Amarth bill will be back, probably in under 12 months, however you might never get to see Morbid Saint like this again.